This Website Best Practices Guide covers the key questions you need to address to make sure that your website follows today’s best practices in website design & development. Alas, far too often, small & mid-sized businesses throw a website together just to have a web presence. But if you don’t follow the best practices for websites listed below, you might as well be putting your website development dollars into a Weber Kettle grill and burning them! Given that the research says that 80% of Internet users turn to the Internet for information first, it continues to surprise me that there are still businesses out there that don’t have a website, and/or business owners who don’t apply website best practices to their most important marketing asset. When the company website is treated like a forgotten stepchild that never gets any attention. As a result, the website does not perform as it SHOULD perform: i.e., as a lead-generation and prospect-to-customer conversion tool. To understand if your website was correctly designed for lead-generation, if it drives marketing objectives, and if it’s following basic best practices in website design & content positioning, ask yourself the following questions. A “responsive” website is a website that assesses the device you’re using to access the site, and then automatically adjusts contents elements on the website for better viewing of the website. 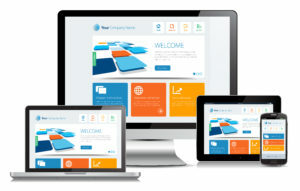 In simple terms, a responsive website will determine if you’re on a desktop computer, a tablet, or a smartphone. Then elements on the website like photos, headlines, content boxes, photos, and more will adjust dynamically to the “footprint” of the device you are using. Attention spans are shorter than ever. So the basic expectation of the average web surfer is that they should be able to understand in 7 seconds (and often less time than that), what do you do? What do you offer? If they can’t figure that out in 7 seconds or less, you’ve lost them, and they’ll bounce, i.e. leave the site within that 7-second window of time. 3) Does your website reflect your brand? In simple terms, your website should reflect the stated personality attributes you’ve chosen to convey to the world about your company. If the feeling you want to convey is slick and professional, the look and feel of your website should reflect that. If the personality & ambiance of your brand is light, airy & friendly, then your website should reflect that, too. 4) Does your website reflect your graphic standards? Every company should have a set of graphic standards including a specific color palette, typeface, and consistent logo. Your logo, colors & typeface should all be used on your website, so it’s part of a “family” of marketing & sales tools. 5) Does your website reflect your strategic messaging? Every company should have key selling messages about what you do, product or service offerings, why you’re better & why someone should hire you or buy your product. That strategic messaging should be reflected in your website content. 6) Does your website appeal to your ideal customer? Every company should have a pre-determined customer profile, and design the website to appeal to your targeted customer. There’s a big difference between an over-50 customer who needs reading glasses to read the website text, and a younger, Gen-Y person who can easily read 9-point type. 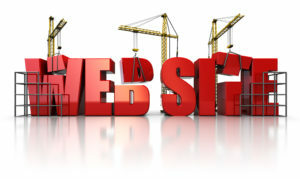 Make sure that your website is designed & written for your target audience. 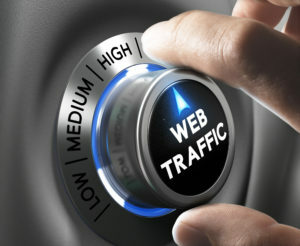 7) Is your website optimized with the right keywords? More and more folks are developing their own website content, without a true understanding of which keywords to use, and WHERE to use those keywords. DIY keyword research is a perfectly fine way to go, as long as you understand how to research the top-performingkeyword phrases, and how to apply them to your website content & optimization. 8) Is your website content correctly “silo’d” (aka organized)? When I conduct a website assessment, I’m amazed at how often related content is not organized together on websites. In addition to tanking the site visitor’s experience, the Google’s search ‘bots don’t like it when content’s not properly organized and it will negatively affect your organic rankings. 9) Does your website measure up to your competitors? If a business owner starts complaining that competitors are nipping at their heels, it’s a good idea to visit their competitor’s websites and see what they’re doing for their web presence. Often, when a competitor is gaining a foothold in your market, it’s because they’re putting a lot of attention into the design, maintenance, and ongoing updates to their website. 10) Does your website have a regular program of content updates and refreshes? If you don’t frequently refresh your content, you’ll lose repeat visitors to the site, who expect fresh new content every time they visit. And if you don’t frequently update your site content, you’ll drop in the search engine rankings. One of the main ways you can improve your Search Engine rankings is to consistently add fresh new content. Your website is not a static marketing asset. It should be a living, breathing, growing, expanding entity that gets attention every month. When you pay attention to your website and incorporate website best practices, your website will morph into a powerful workhorse that drives your business forward.